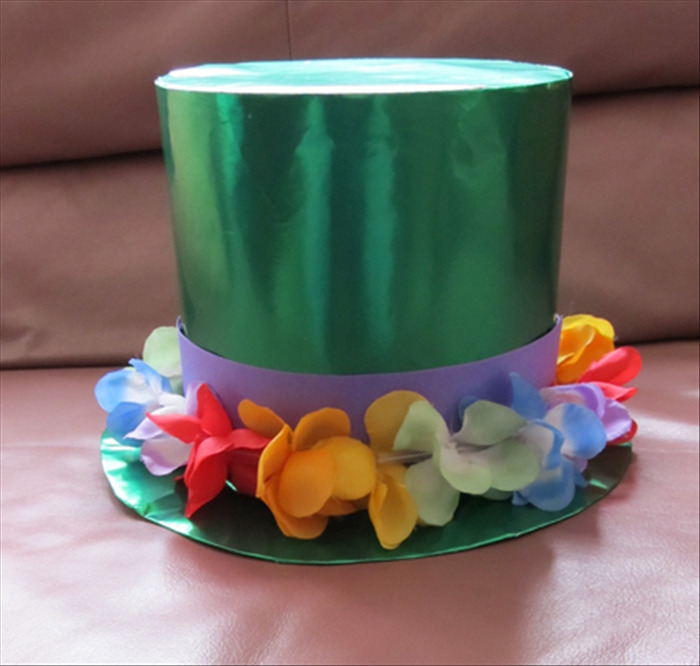 Do you need a special top hat for your costume? 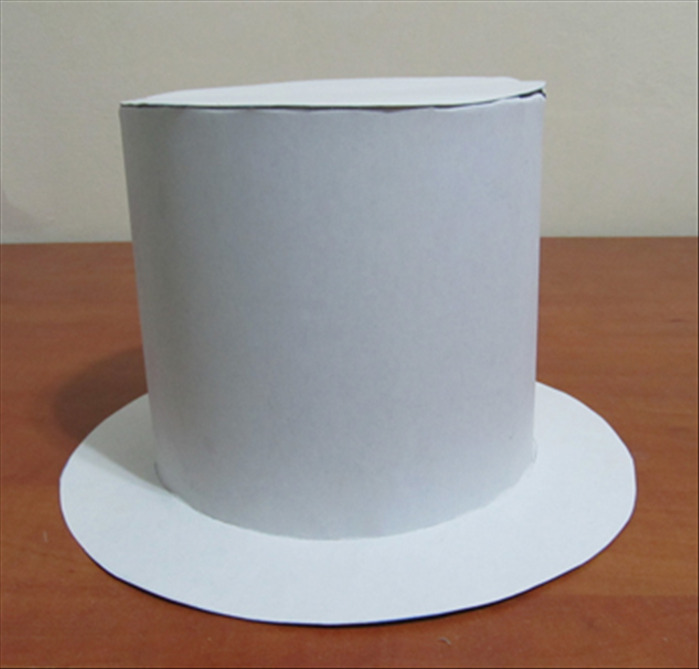 This guide will show you how to make a top hat from cardboard. 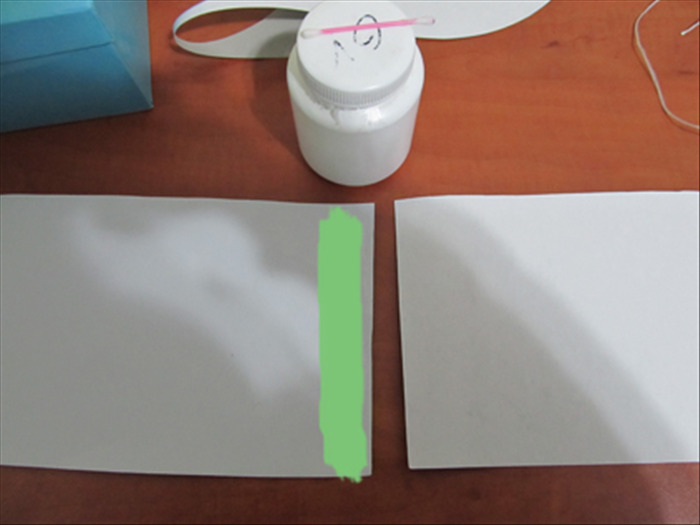 Trace the outline of the large plate on cardboard or thick paper. 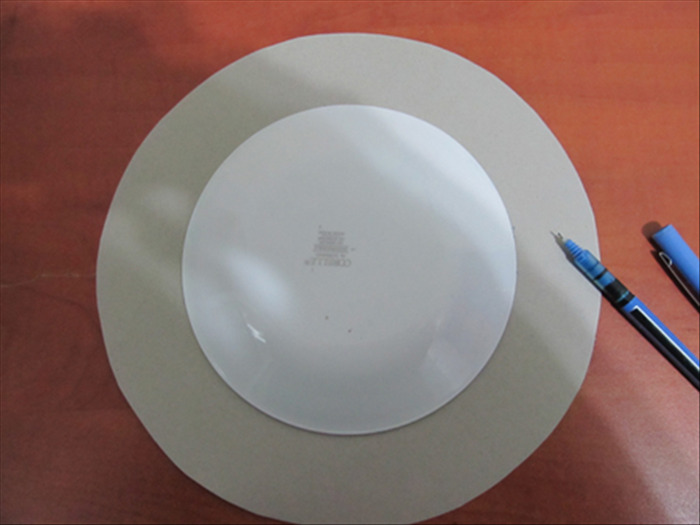 Trace the outline of the small plate. 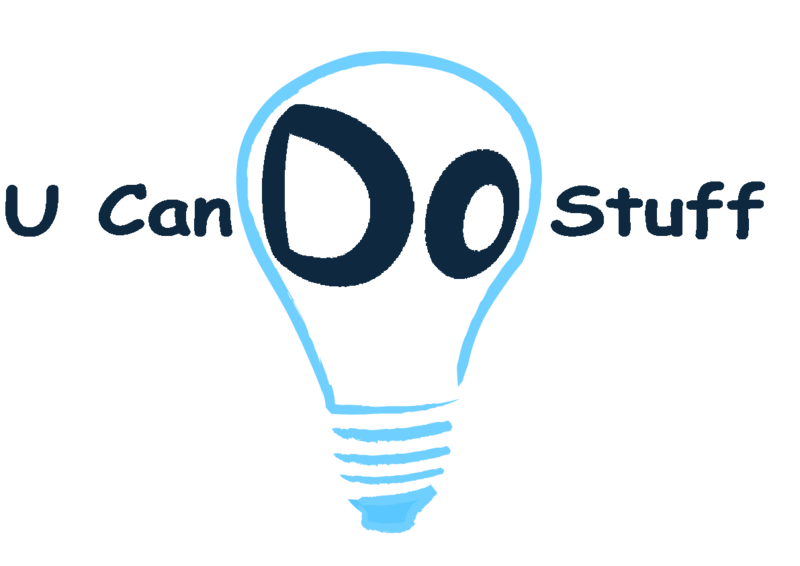 Cut out the 2 circles. 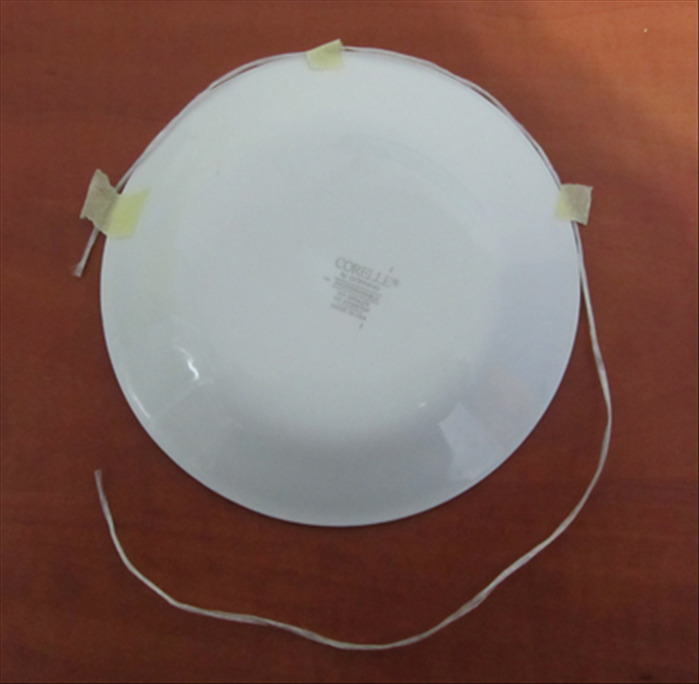 Measure the small plate with a string. 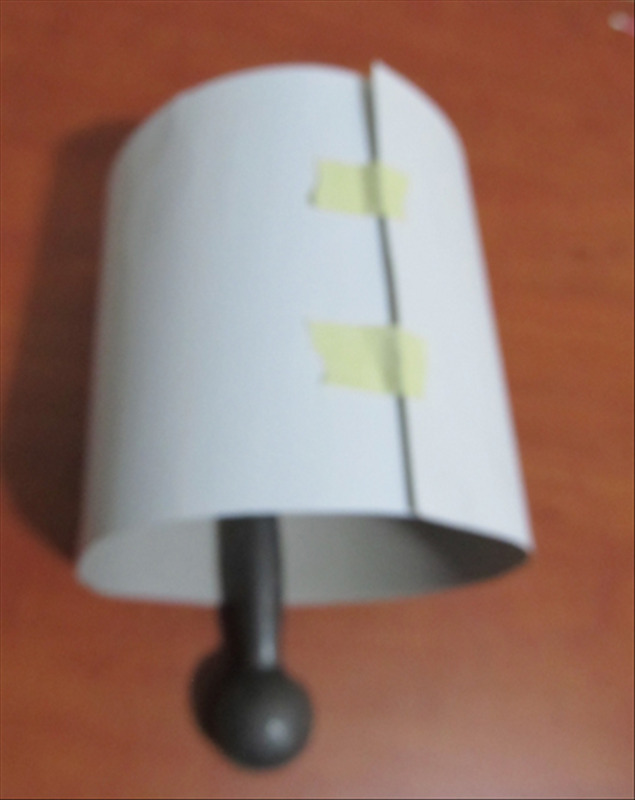 It will be easier if you hold the string in place with a few pieces of masking tape. 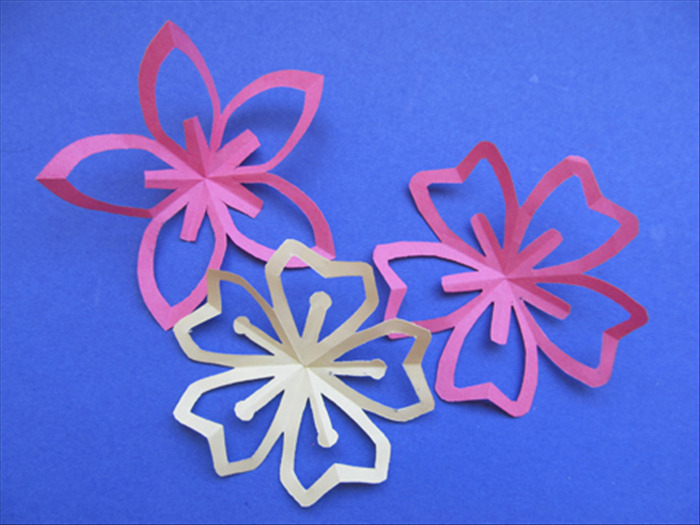 Glue together 2 pieces of cardboard or thick paper to make a long strip. 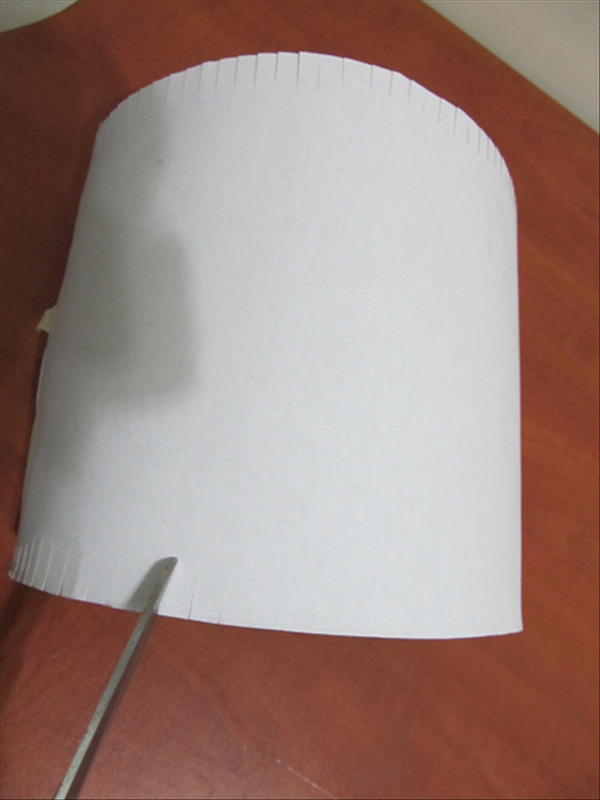 The width of the cardboard should be as high as the hat you want to make. Put masking tape, sticky side up, on one side of the cardboard. 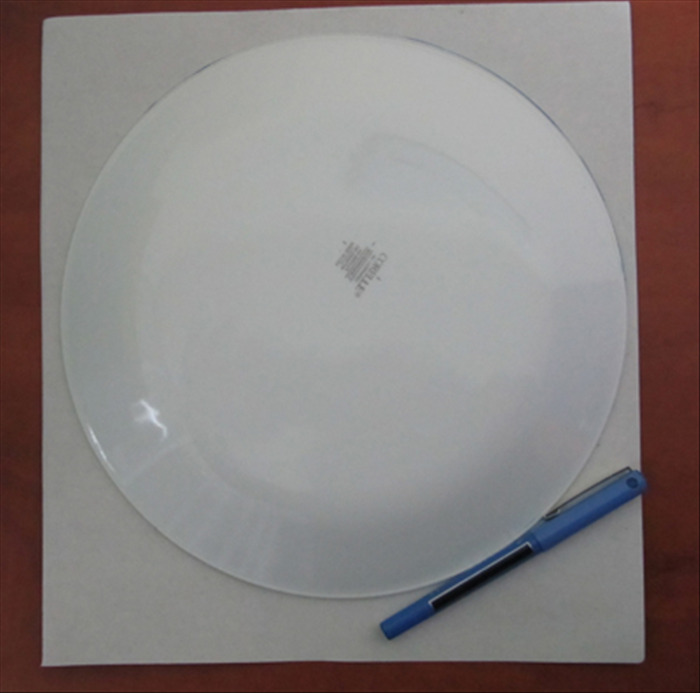 Stand the small plate on its edge and hold it in place with a heavy object on each side. 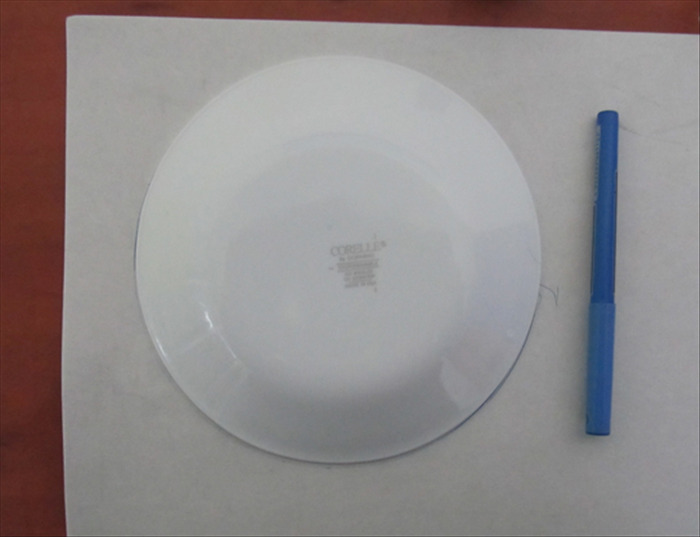 Make sure that the objects are not bigger than the plate. 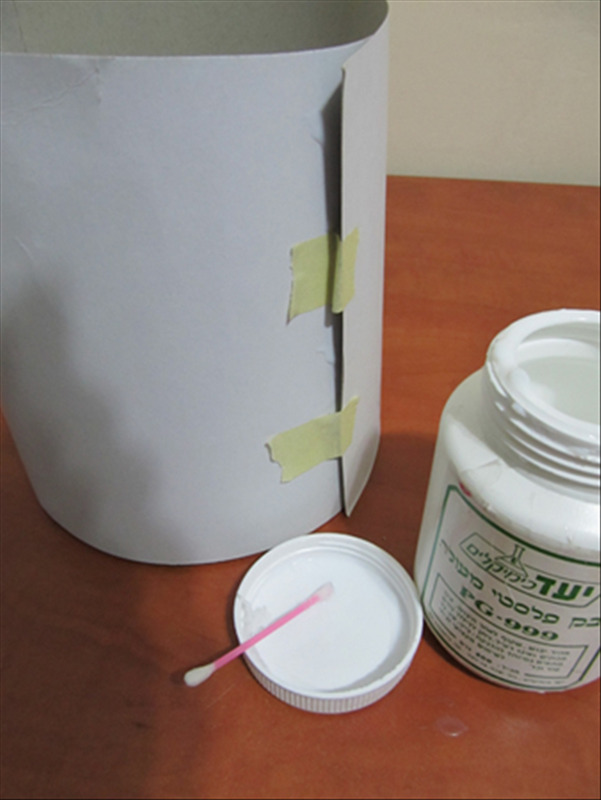 Put glue on the underside of the end of the cardboard that does not have the masking tape. 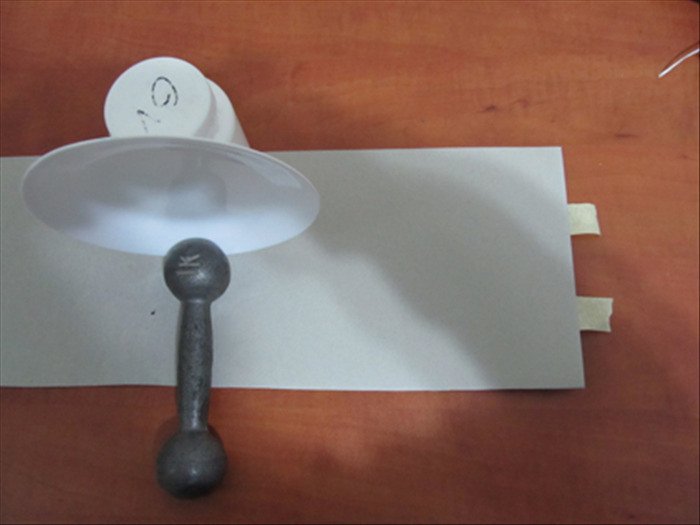 Roll it up along the edge of the plate and press the masking tape to hold it in place. Remove the heavy objects that were holding up the plate. Adjust the plate if needed. Add more glue if needed to any part of the flap sticking up. 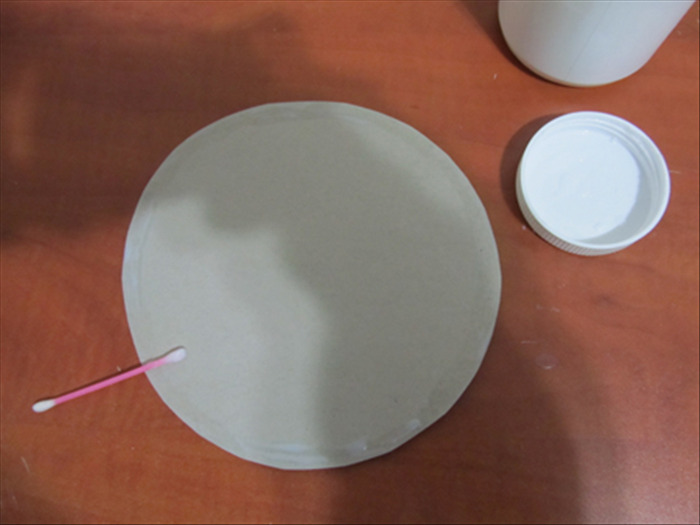 Do not take the plate out until the glue has dried completely. 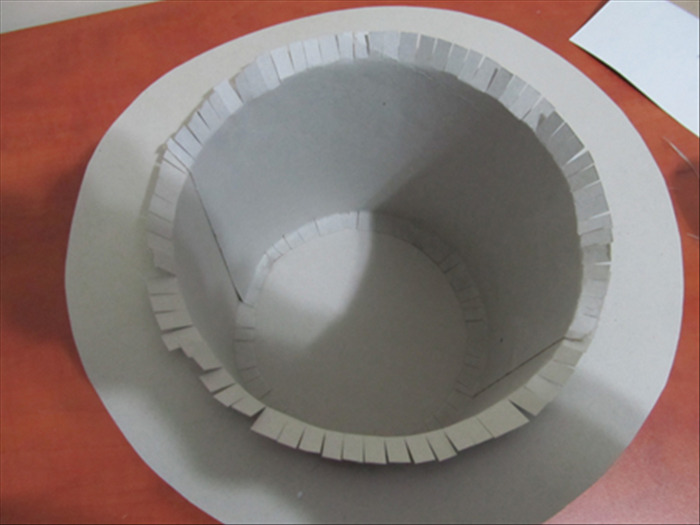 Put the small plate in the center of the large round cardboard from step 2. 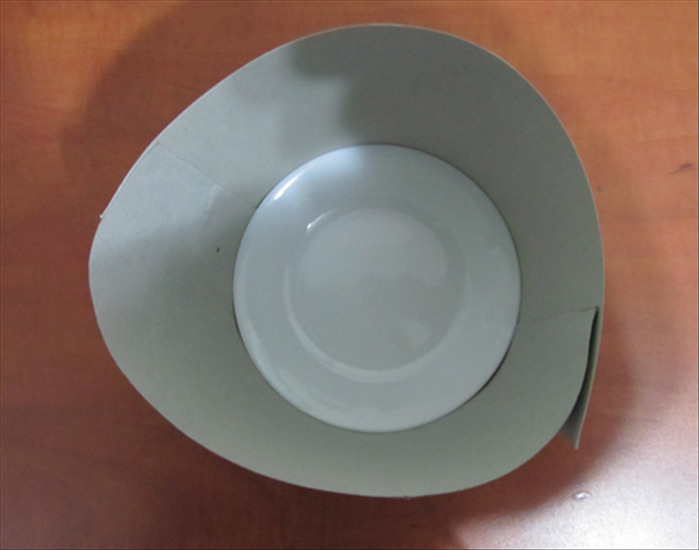 Trace the outline of the plate. Now you will make the hat brim. 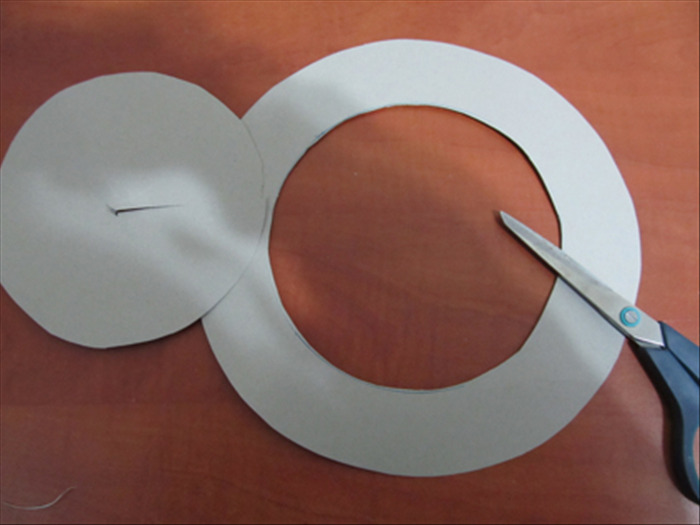 Stab a hole in the center of the circle and use it as an entry point to cut out the circle. 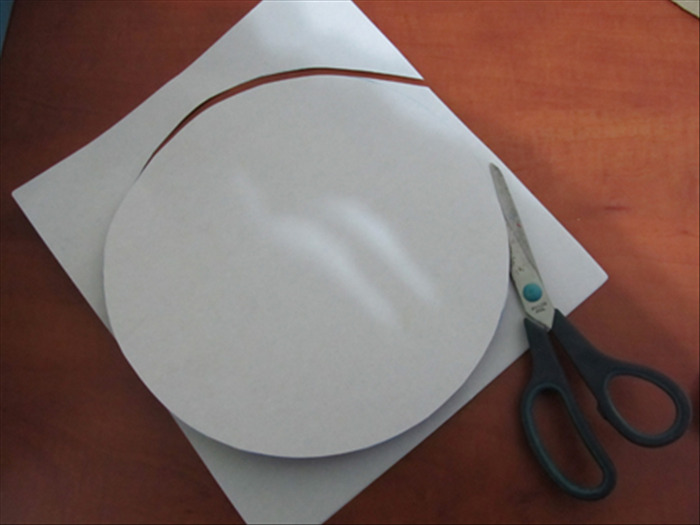 Discard the stabbed, cut out circle. and stand it up inside the band. If it does not fit, carefully trim only a tiny bit around the inside of the band. 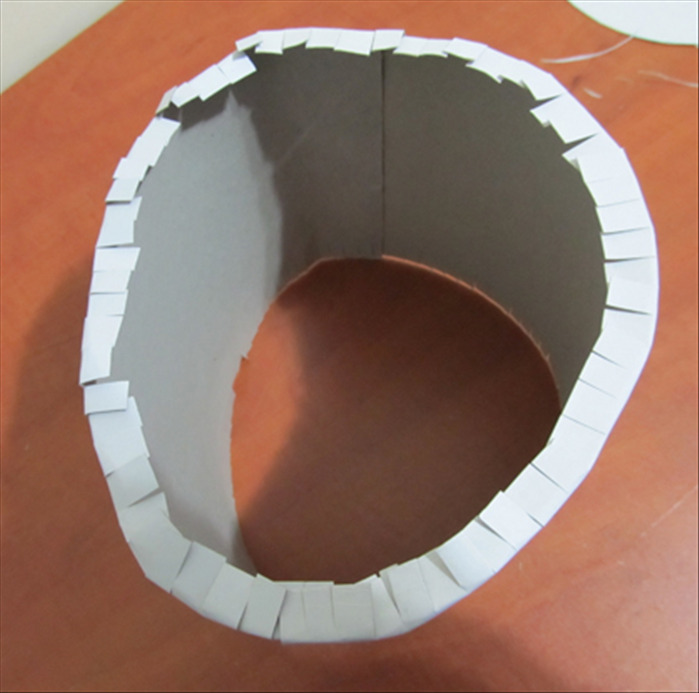 Place the folded edge of the cardboard tube on top of the small circle with the glue. 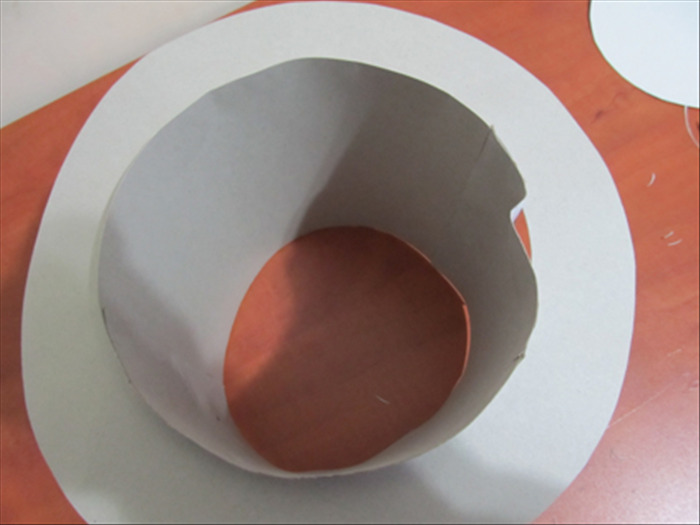 Put the small plate inside the tube and press down to flatten the folded edges to the circle. 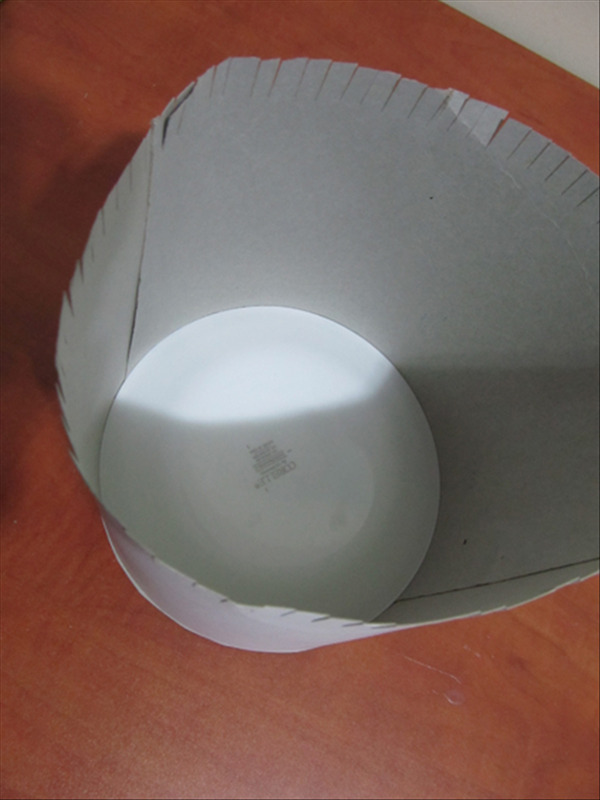 Adjust the tube if needed and let the glue dry completely before removing the plate. When the glue has dried remove the plate. 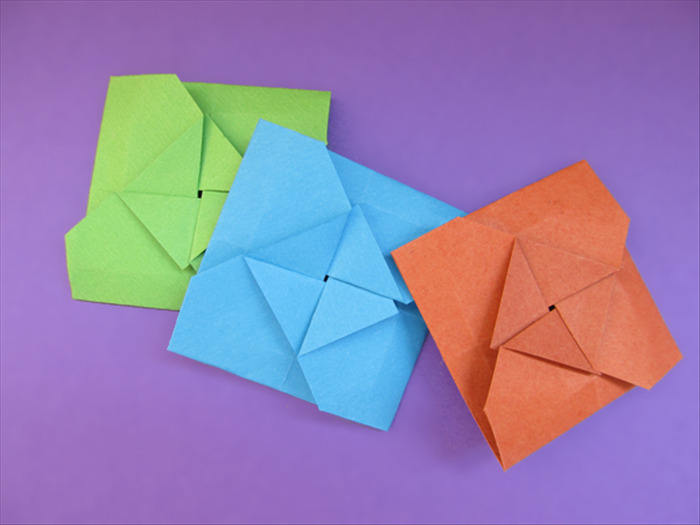 Cut slits on the other side and fold them outwards. 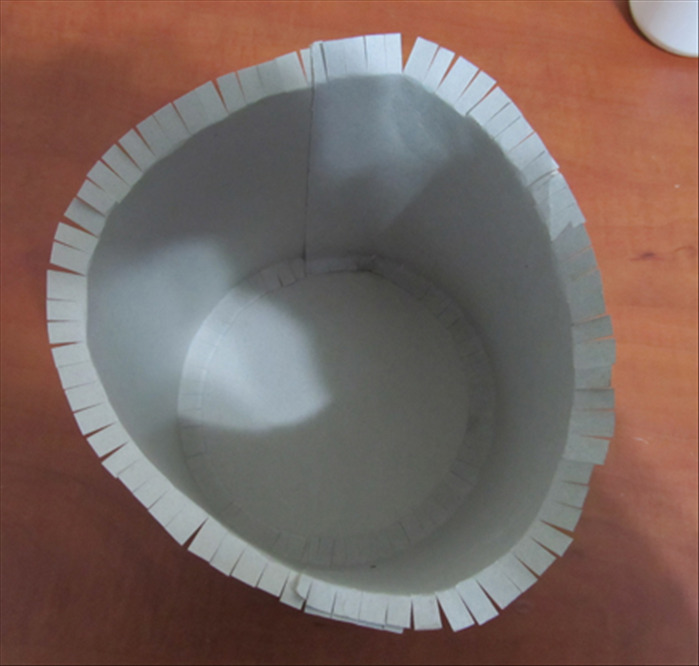 Spread glue about 1 inch all around the inner edge of the brim. Slide the glued side of the band down the tube until it touches the folded edge. 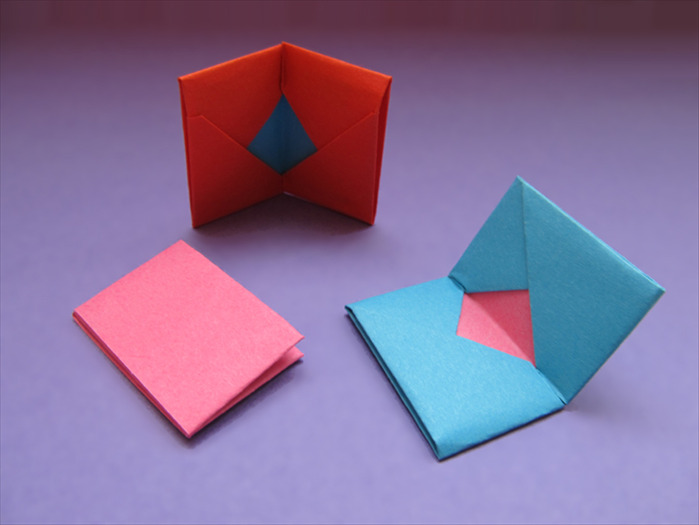 Place the band on the table and press down to flatten the folded edge against it. Your top hat is ready ! 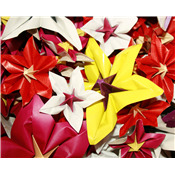 You can glue material or paper to the hat, add a band, feathers, flowers or any sort of decoration.